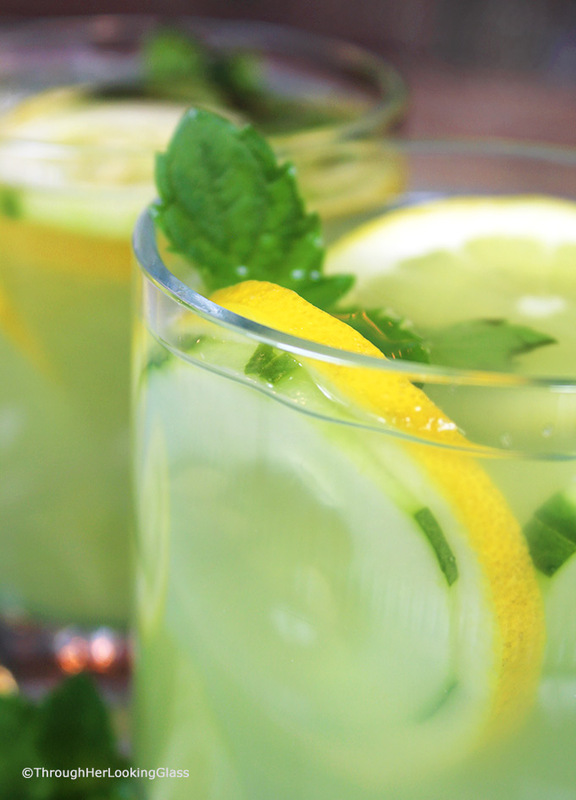 Cucumber Lemonade with Mint is a refreshingly all natural drink on a hot day. 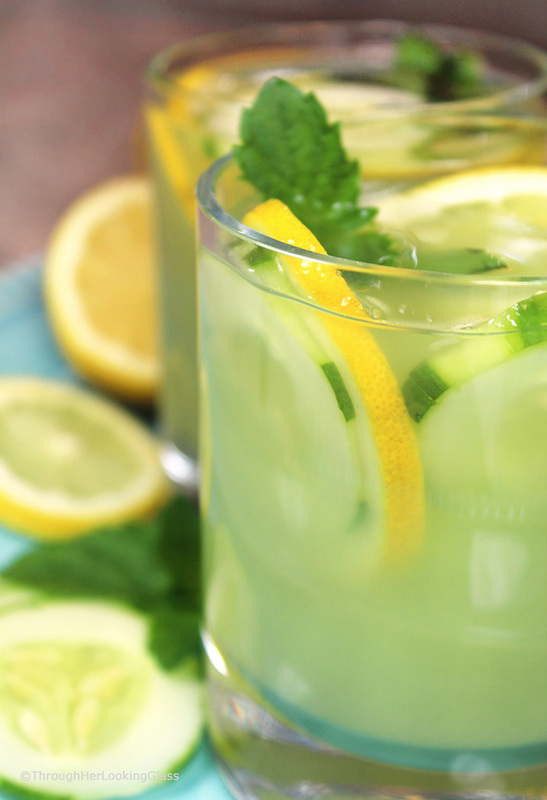 Fresh squeezed sweet tart lemonade combines with cucumber juice and muddled mint. 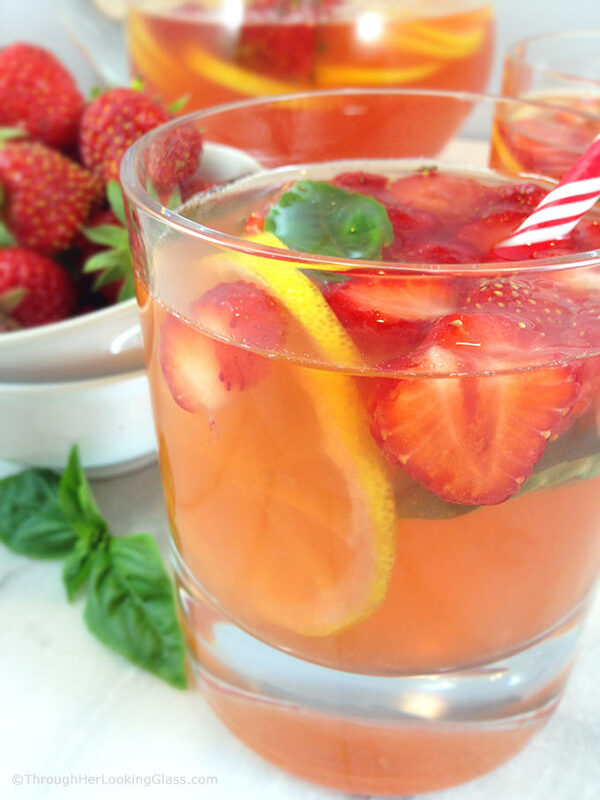 It’s especially delicious iced, so try this refreshing cold sip on a sweltering summer day. Sacrilege. And furthermore, we don’t have have an abundance of ripe cucumbers waiting to be harvested off the vine in our garden. So there’s that. BUT. That does NOT mean that we aren’t big Cucumber Lemonade people. Because we are. I discovered that a few weeks ago. I love it when birthday celebrations stretch on for days, weeks and even months. Don’t you? That’s what happened to me this past summer. A friend took me out for a fun birthday lunch for my mid-July birthday at the end of August. It was a sweltering day and there, chalked on the specials board, was Minted Cucumber Lemonade. No question, I had to have it. So that was my first very pleasant encounter with Cucumber Lemonade with Mint and it won’t be my last. I didn’t think my guys at home would go for it, but I made a batch this week. But first let me tell you how I came to have several lovely cukes in the house. I was at church and there they were sitting in our give-one, take-one blessing basket. Since I was one of the last out the door and there were still a few left, I couldn’t let good produce go to waste, now could I? So there you go. That’s how these garden cucumbers arrived in my kitchen fruit bowl. And the next hot, sweltering day (which happened to be Labor Day), all I could think of was that delicious refreshing birthday cucumber lemonade and what I’d do for another glass. The rest is history. I shared some with my guys too. And aware of their resistance to all things cucumber, I conveniently failed to mention the cucumber factor when I said “lemonade”. Oops. But smart, yes? Because they loved it, every sip. And so will you! 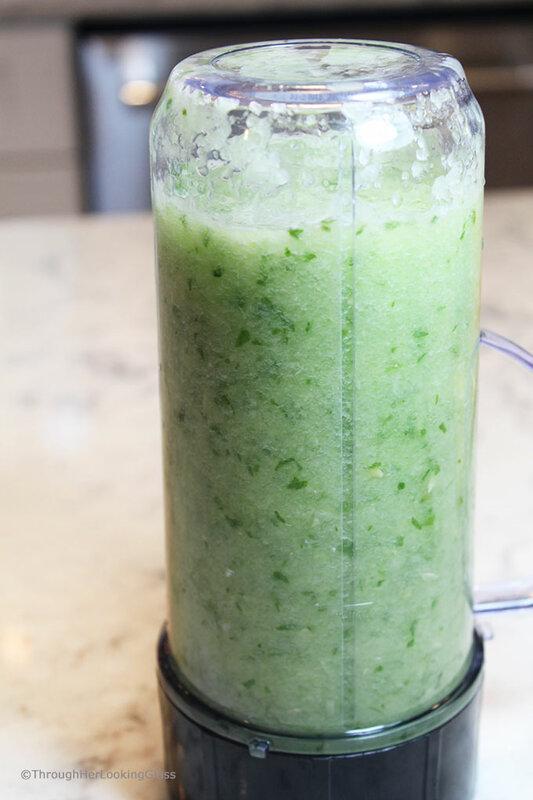 A blender or Magic Bullet works great to puree the cucumber. Use fresh squeezed lemon juice if you can, but bottled works too. If you’re cutting down on sugar, make this without sweetener and sweeten by the glass. I tried it with stevia and it worked great. You could try honey, maple syrup or other sweeteners. Make striped cucumbers for pretty garnishes by running a vegetable peeler down the length of the cucumber before slicing into rounds. Add more water if it’s too strong. How to muddle mint? Place a sprig of mint in your serving glass and use a wooden spoon to lightly crush it. 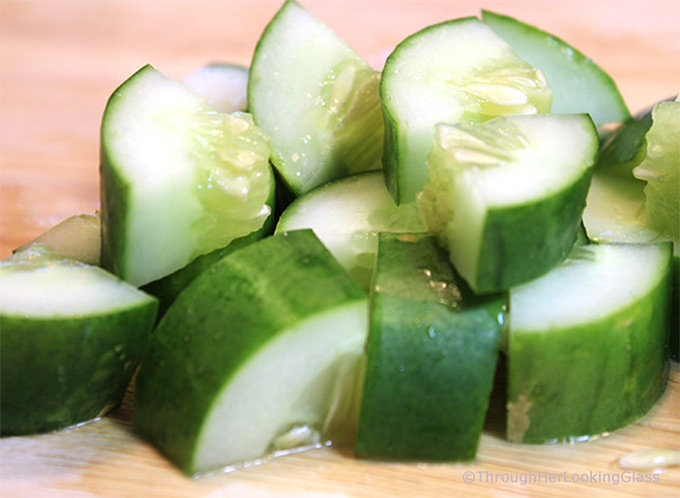 Puree fresh cucumber chunks with a small amount of water in a blender or Magic Bullet until well blended. 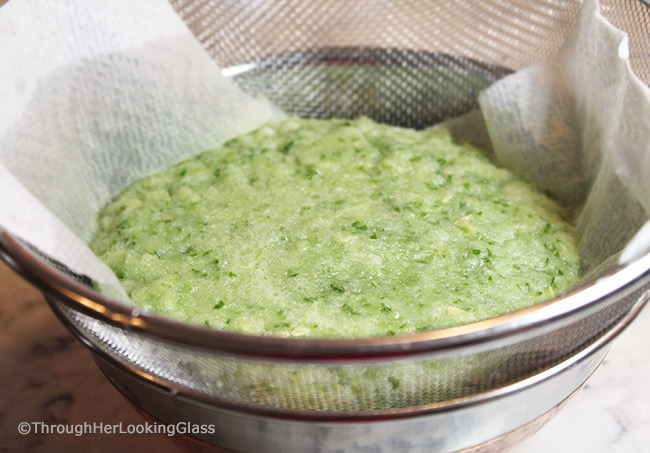 Pour cucumber pulp into a metal sieve (or coffee filter lined colander) with a bowl underneath to catch the cucumber juice. Let drain for 10-15 minutes. Meanwhile, combine 1 cup sugar and 1 cup lemon juice in a 2 quart pitcher. Add 5 1/2 cups water and stir well. Stir in 1 cup cucumber juice. Taste test and add more water if needed. You may add extra cucumber juice if desired. 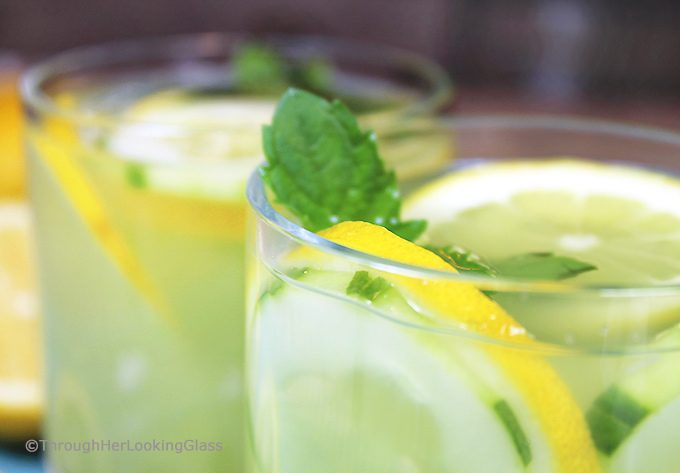 Muddle a sprig of mint in each serving glass. Add ice and pour cucumber lemonade over all. 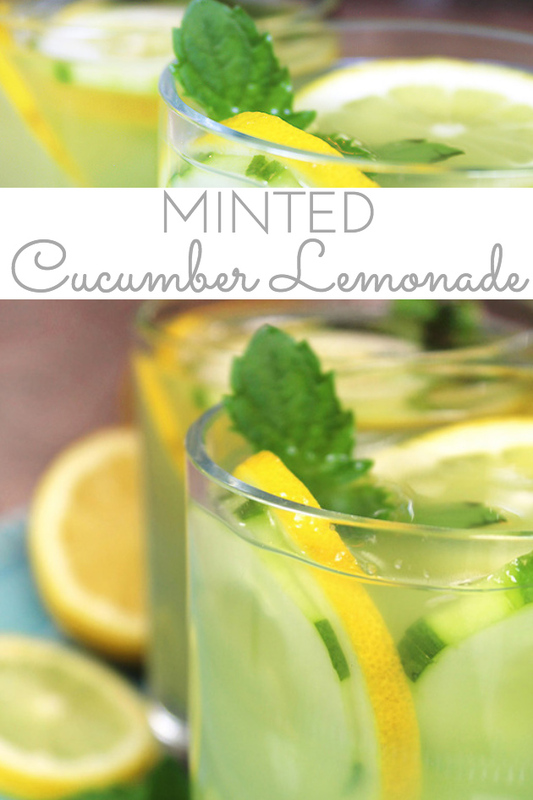 Garnish with a sprig of fresh mint and cucumber and lemon slices. Other delicious ideas to use up fresh garden cucumbers: Feisty Cucumber Mint Martini, Sugar Glazed Cucumber Bread, and Cucumber Tomato Salad . Allie, this looks delicious! I could have used it today after being outside for over an hour in the heat. Putting this one on my list! Thanks D!!! I think you'll love it. I know Susie! You gotta watch your back around here or someone might sneak veggies in your lemonade! Absolutely delicious! This recipe is a keeper for sure! Many thanks Sue, hope you enjoy it. You know, this might be a fun project w/the grands. Squeezing lemons, pureeing the cucumber down to pulp and squishing it in the colander for juice....Hmmmm....your crew might really enjoy this project...not to mention drinking it! Just trying to track down a problem.almost like detective work lol I have sent messages to you on different postings of yours. I do not do that on many sites. Now I noticed that I am not able to send messages on most sites and it seems like I had not heard from you for a long time. Is there anything you can think of that might have caused this problem. The reason I think you might be able to help is that you are the last person I was able to send messages to in this manner. Lets hope this goes through and doesn't disappear like the other messages I try to send. I always have cucumbers in the fridge, but I have to admit I have never had cucumber lemonade. However, I do add cucumbers to smoothies sometimes, they are so refreshing. I will definitely try this, I am really curious about it. What??? You don't like cucumbers??? That is Sacrilege indeed! Haha! I love your churches' idea of a take-one-leave-one blessings basket! And, am with you, produce should never go to waste! And you put it to good use in these refreshingly delicious looking drinks! I am on a farm tour in Kansas right now and after a day of walking around farms in this dry heat, I could drink a gallon of this - gosh, where are my manners eh? !